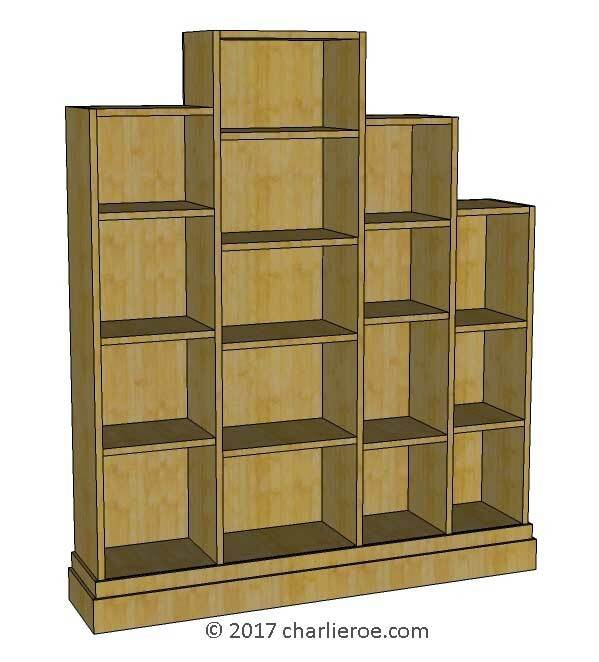 A definite tribute to Paul Frankl with this overt Skyscraper bookcase. The corner bookcase version works really well, & accentuates the 'buildings' look. 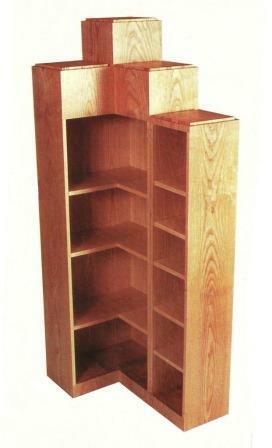 It could have been equally made as a straight bookcase, similar to the design shown below. This piece was made in oak, to show the variety of finishes possible with this style. But as they are made to order they can be made to any size, material & finish you want.